The Google tools provided for synchronizing accounts between your organization and your Google Apps domain are changing. These changes require developers to rebuild the applications used to perform this synchronization. What happens when the old tools go away? 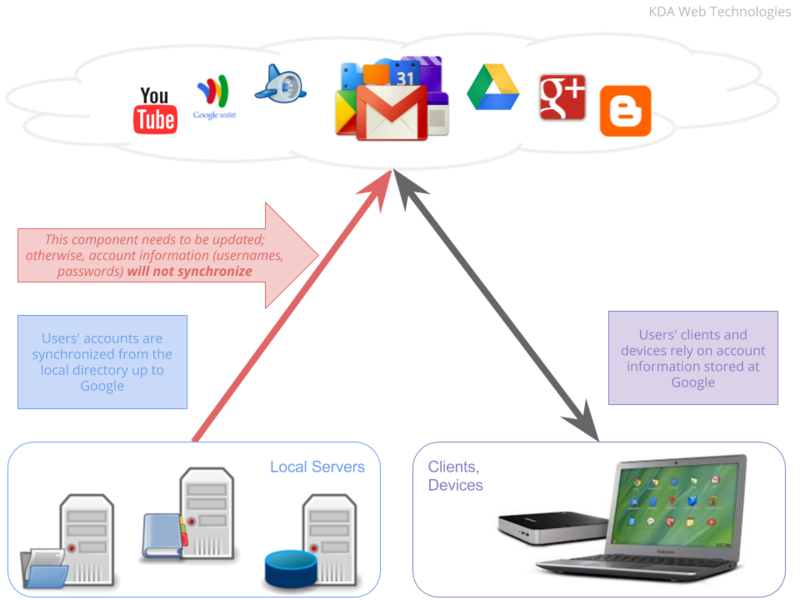 The synchronization of accounts between your organization and your Google Apps domain will break. This means that users created in or deleted from your organization will not be reflected in your Google Apps domain. On May 15, 2013, Google announced that the tools they've provided have been deprecated. According to the Terms of Service, these tools will go away on April 20, 2015. Google has provided a new set of tools for accomplishing this synchronization. These new tools include all of the functionality of the old tools plus additional features.